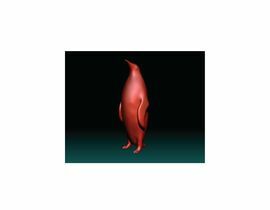 Seeking a savvy graphics and animation designer to design 3D Emperor Penguins Illustration and Animation. Please be proud to share and inspire with your unique work samples. a. The highest emphasis is on LIFE LIKE illustrations and Animation as much as possible. No comic or cartoon mimics please. 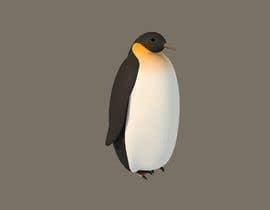 c.	Design 3D illustration: An Emperor Penguin and Emperor Penguin Baby. The illustrations have to be very cool and adorable. d.	Animation of the above characters: Penguins are sliding down a snowy hill (Adult first followed by baby penguin). Snow is falling and different images are visible in the background. At the foot of the snow hill, the baby penguin walks up to the Parent Penguin and tucks in between the feet of the Parent Penguin. Parent Penguin bends its head and scratches baby penguin’s head. (please see attached files). At that time, company logo appears and the characters are embossed/engraved/embedded inside the logo. 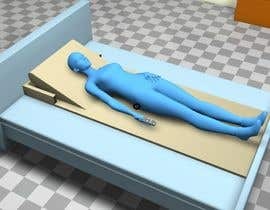 e.	The 3D illustrations and animation files should work in different contexts; in social media, in printed material and with different backgrounds and be adaptively scalable. Note: You may use Stock Vectors to kick start your work to turn these into very unique work of your own. However, full disclosure is required. a. 3D illustration files (all format vectors and source files, i.e. : JPG, PNG, SVG, AI, EPS, PSD, Base64 etc.) of all characters in various positions as required in the animation in optimized resolution and size for various social media (app loading page etc. ), Web (app landing page images etc. ), and marketing purposes. b. Animation output files and source files in optimized resolution and size for various social media, Web, and marketing purposes. b.	Adobe Suite, Autodesk Maya; Houdini; Cinema 4D etc. 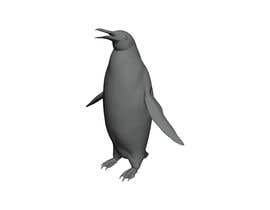 (Please NO open source modelling tool sets). As the competition draws near its conclusion, I wanted to extend my sincere Thank you to all who participated. Not sure 30-days were enough to complete all of the requirements for this contest. However, that is the max I could select (or did not know any better). Thanks for the heads-up Puneet! We do have some budget flexibility and I never let really good work go un-rewarded. So, a budget increase can be agreed to in the future. I fully understand your comments and concerns. As it is with everything in life, we learn to take risks and trust our judgements to make an investment. There is something to be learned everytime we embark on a new and interesting project. With only 4-days to go in this competition, it is difficult choice to arrange something really fast. Please post an image that you have worked on in the past and may be we can chat privately. 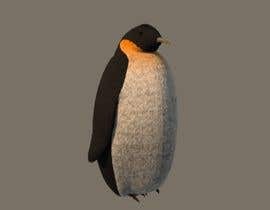 Body measurements of an adult Emperor Penguin: The emperor penguin is the largest of all living penguins. Length: 1.1 meter (3.7 ft. or 122 cm or 48 in) tall and can weigh more than 41 kg (90 lb.) The penguin's body is fusiform (tapered at both ends) and streamlined. 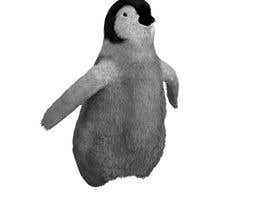 Penguin has a large head, short neck, and elongated body. The tail is short and wedge-shaped. 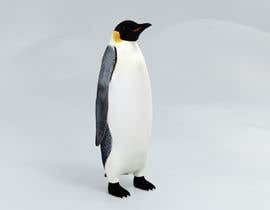 The legs and webbed feet are set far back on the body, which gives penguins their upright posture on land. 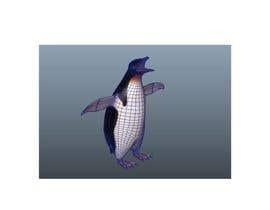 All adult penguins are countershaded: dark on the dorsal (back) surface and white on the ventral (underside) surface. 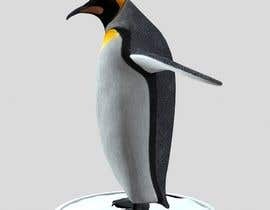 The king penguin has a black head, chin, and throat, with vivid orange, tear-shaped patches on each side of the head. The orange coloration extends to the upper chest. Thanks for the heads up Gerard. Looking forward to your submission. can i use Other softwares like blender and zbrush? 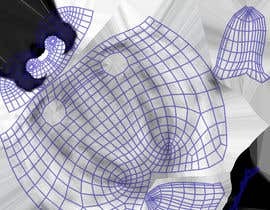 zbrush is good one to use as it will allow more flexibility when using animation. Let's see your submission with blender as well. 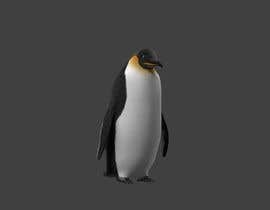 New images document showing high def details of Emperor Penguins attached. Great submissions. I'm looking forward to your final submissions. 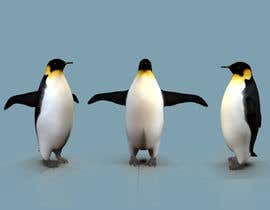 Please take a look at the following documentary for Baby Penguin and Parent Penguin calls, movement types and typical environment for Emperor Penguins. minute 1:50 to 2:04 shows how penguin bends its neck. minute 5:10 to 5:25 shows how the penguins slide on ice. minute 6:35 to 7:45 shows variety of movements baby calls, mommy penguin calls, feeding, color definition and various movements for the amination. minute 8:30 - to- 9:10 shows parent penguins with baby penguin. Almost heart shaped. This could help as an idea for the final logo fade-in animation. Thanks for the heads up. Looking forward to it. I like the video clip idea, and I will be happy to participate in the contest! Thank you Valkan. I'm looking forward to your submission. Hi Miguel: Already have 2D characters and renderings. You may submit your 3D work and we can discuss the appropriate budget based on the quality of your work. Hope this works.